Health insurance is insurance that pays for medical expenses. It is sometimes used more broadly to include insurance covering disability or long-term nursing or custodial care needs. It may be provided through a government-sponsored social insurance program, or from private insurance companies. It may be purchased on a group basis (e.g., by a firm to cover its employees) or purchased by individual consumers. In each case, the covered groups or individuals pay premiums or taxes to help protect themselves from high or unexpected healthcare expenses. Similar benefits paying for medical expenses may also be provided through social welfare programs funded by the government. The type and amount of health care costs that will be covered by the health insurance company are specified in advance, in the member contract or "Evidence of Coverage" booklet. Individual health insurance is coverage that you purchase on your own, on an individual or family basis, as opposed to obtaining through an employer. It can be purchased both on- and off-exchange. Consumers can buy coverage during an open enrollment period (OEP), although some states offer deadline extensions. Outside of the OEP, you must have a special enrollment period to enroll. Individual health plans were medically underwritten prior to 2014 and the level of coverage was traditionally less than what group plans offered. The Affordable Care Act’s reforms required individual plans to offer essential health benefits and made coverage guaranteed issue. ACA’s subsidies help millions of people pay lower premiums if they purchase through the exchanges. At Vogue Insurance Agency, LLC our beneficiary’s health insurance customers is simple: “To help Medicare and Medicaid Beneficiaries get the most from their healthcare”. Helping people in the community is exactly what we do. We have helped thousands of people just like you not only make sense of the confusing subject of “Medicare" and "insurance”, but figure out ways to save money in the process. Please take the opportunity to get to know us. Let our years of experience help you today. Let our experience work for you. As a federal health insurance program, Medicare stands out among the examples of successful social programs if for no other reason than the fact that it has survived for the past five decades with few significant modifications. To understand how Medicare affects your life as an American citizen, you need to appreciate that the program was an unprecedented measure in its day. Today, it continues to fulfill a vital need for senior citizens and those with certain disabilities or illnesses. Whether your doctor, other healthcare provider, or supplier accepts assignment. The type of healthcare you need and how often you need it. Whether you and your doctor or other healthcare provider sign a private contract. Medicare Supplement Insurance, also known as Medigap, pays for some of the expenses not covered by the original Medicare program (Parts A and B). Medicare supplements are not designed to replace Medicare. Instead, they supplement Original Medicare by paying for things such as co-payments, coinsurance, deductibles and more. Medigap or Medicare Supplemental Insurance plans are standardized by the same agency that oversees Medicare, but these plans are sold and administered by private companies. Since the 1970s, Medicare beneficiaries have had the option to receive their Medicare benefits through private health plans. Medicare Advantage plans, also called Medicare Part C are health insurance plans that are approved by Medicare and run by private insurance companies. A Medicare Advantage plan is required to provide all Medicare Part A and Medicare Part B benefits and may include prescription drug coverage. 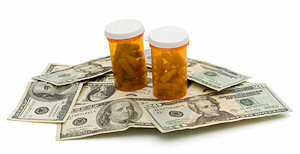 Part D adds prescription drug coverage to Original Medicare and some Medicare Advantage plans. These plans are offered by private companies approved by Medicare, and must follow guidelines established by The Centers for Medicare and Medicaid Services. If you are enrolled in Medicare Part A and/or Part B and live in your plan’s service area, you can enroll in the Medicare drug benefit (Part D) during your Initial Enrollment Period (IEP). Your IEP for Part D will usually be the same as for Part B: the seven-month period that includes the three months before the month you become eligible for Medicare, the month you are eligible, and three months after the month you become eligible. 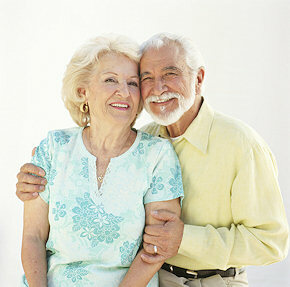 For example, if you become eligible for Medicare when you turn 65 on May 15, your IEP will be February 1 to August 31. Note: If you are disabled and are turning 65 you will qualify for a new Part D IEP. That IEP will last seven months including the three months before you turn 65, the month you turn 65, and the three months after you turn 65. If you were paying a Medicare drug benefit premium penalty because you signed up late for Part D before you turned 65, you will no longer have to pay this once your Part D IEP begins. If you join a Medicare drug plan during the three months before you are eligible for Medicare, your coverage will start the month you become eligible. If you join a Medicare drug plan during the month you become eligible, or during the three months afterward, your drug coverage will start the first of the month after you enroll. You should enroll early during your IEP to make sure that your coverage begins as soon as you are eligible. If you do not join a Medicare drug plan during your Initial Enrollment Period, you may not be able to enroll until Fall Open Enrollment. Open Enrollment begins October 15 and ends December 7. Changes and enrollments made during Open Enrollment become effective January 1. You may also have to pay a premium penalty. you lose employer drug coverage. Life insurance is protection against financial loss resulting from death. It is an insurance company's promise to pay your beneficiary a specific amount of money when you die in exchange for timely payment of premiums. To replace income the family would need to maintain their standard of living after the death of a wage earner. To pay off a mortgage loan and other personal and business debts or to create a rent fund. To create a fund for children's education. To pay final expenses, such as funeral costs and taxes. To create a family emergency fund or a fund for a family member with special needs. Life Insurance can be the cornerstone of sound financial planning as you and/or your beneficiaries can use it to replace income, pay final expenses, create an inheritance and pay “Death” Taxes for Federal and State “Estate” settlements. You can also create a source of savings over time with Whole Life or Permanent Insurance. There are several types of Life Insurance so call the professionals at Vogue Insurance Agency to discuss what type is right for your needs. Term life insurance covers you for a set period of time, called the policy term, which begins and ends on specific dates. For example, a ten-year policy term would provide coverage for ten years. Benefits will be paid only if you die within that time. Whole life insurance is a kind of permanent insurance that stays in force for your whole life (unlike term insurance), as long as you pay the premiums. Whole life insurance combines a death benefit with a cash savings feature. Part of each premium goes to pay for the death benefit, part to pay the insurer’s expenses and profit, and part is placed in an account that accumulates interest over time. You may borrow against the policy’s cash value by taking a policy loan to meet unexpected expenses. Like whole life insurance, universal life offers both permanent insurance protection and a cash value element. With universal life, your premium is placed into an investment fund managed by the insurance company. Each month, the cost of a term insurance policy and the insurer’s administrative costs are deducted from that account.